SJW’s stay mad. Since some tweets hurt this poor ragey leftists feelings, she felt the need to report it and exercise her SJW puss pass. 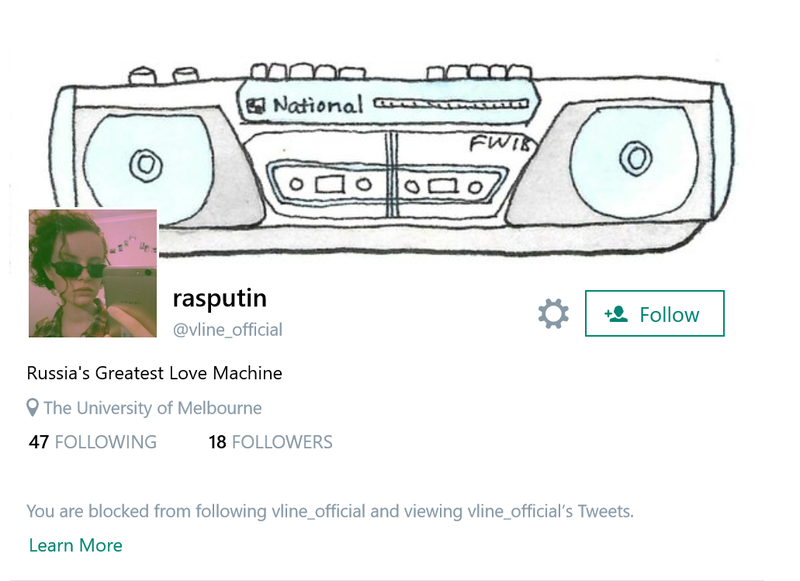 Notice the subject here having the username “VLine_Official”. It’s rather hypocritical that someone has to strike up implicit associations amongst accounts. 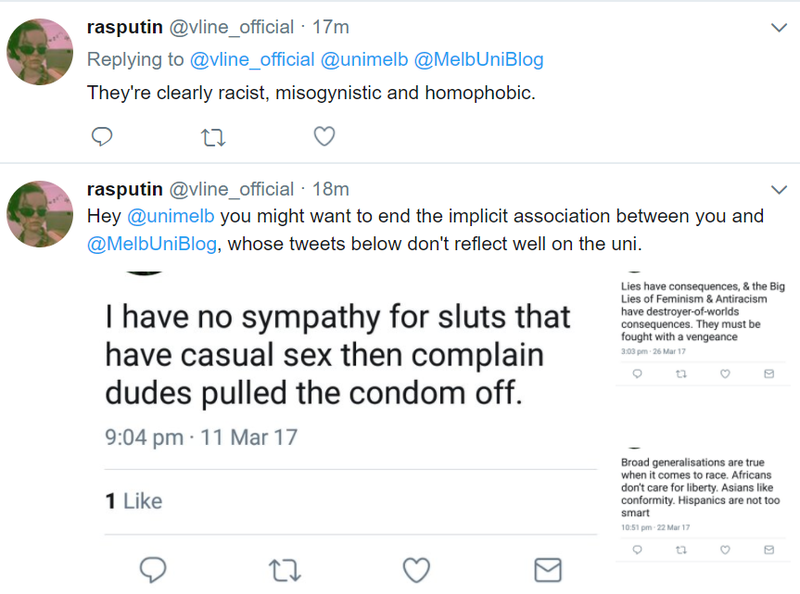 Especially when there’s a clear statement in the Twitter profile dispelling any association with The University of Melbourne’s official account. and like every corporation, institution or public figure. So much for free speech these days, eh? So after this failed “reporting” of me, nothing happens. 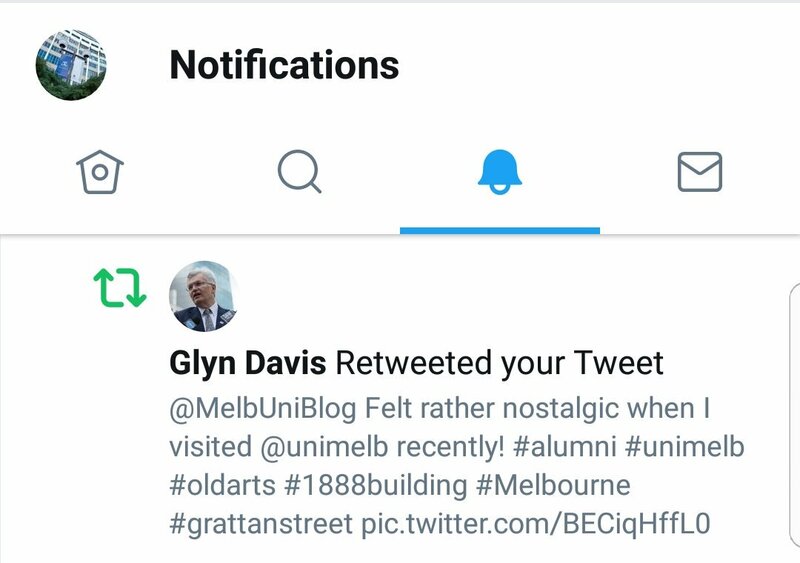 Actually the Vice-Chancellor of the University Re-Tweets me. Yet, this kid does not know when to stop..
Ok here’s some Twitter basics, genius. You have a public Twitter. You posted all your information on there for the world to see. Blocking one account does nothing if you have a public Twitter account cause all one has to do is log out and they can view your public feed. No, I haven’t and won’t delete a thing, you’re the one trying to get me reported. 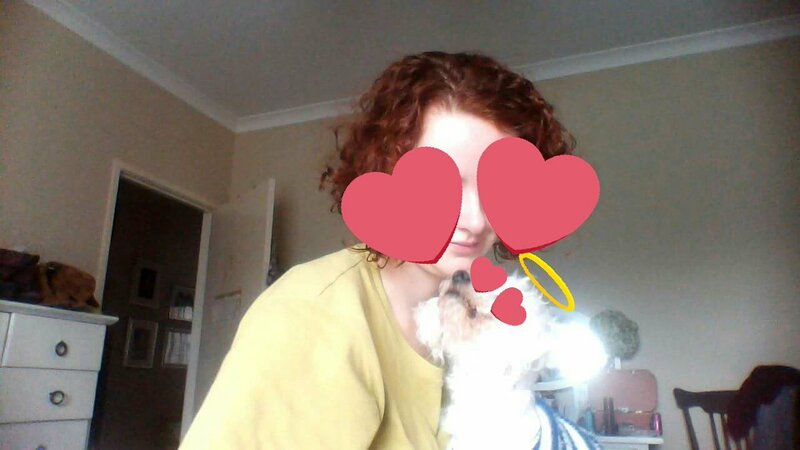 Which again, won’t result in anything because what I post is totally fine despite it not agreeing with your feminist and equalist brainwashing you’ve been spoonfed. 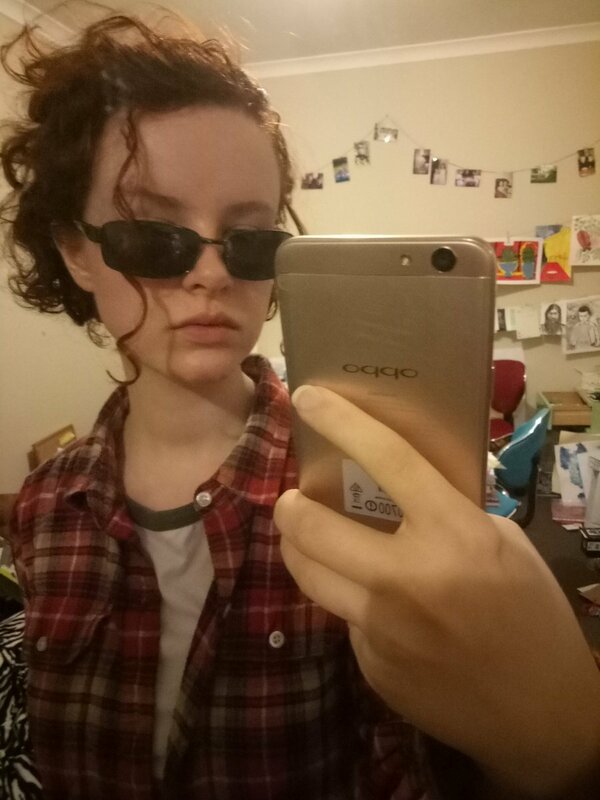 Yes? And? Are you ashamed or something? If you’re super careless and going around trying to get people banned you’ll get whats coming for you. 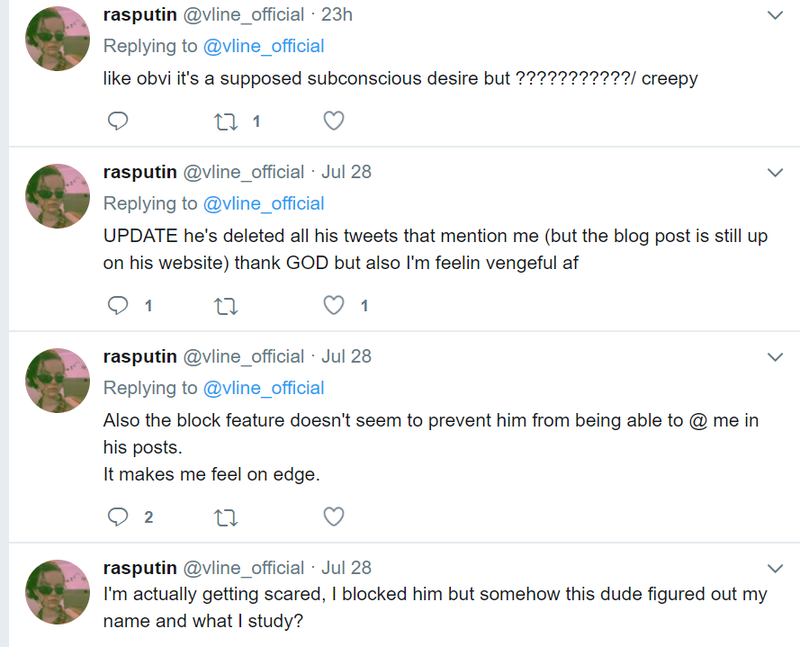 “Blocking” someone and running like a coward isn’t going to get you very far. But you study Arts so not like you’ll get far anyway. Why feed fire to the flame? The left have already made a fool of themselves with the recent Google debacle. The irony of these academic institutions will play itself out.